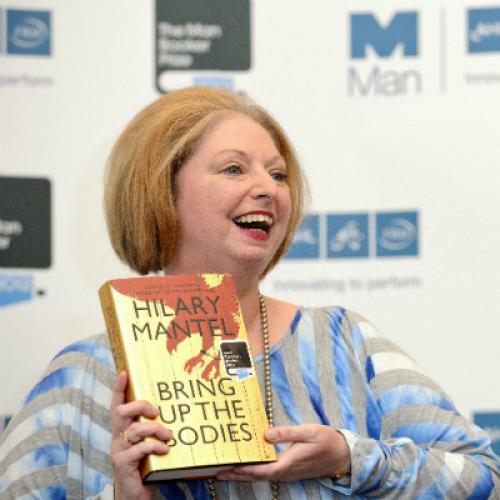 Hilary Mantel has won the Man Booker prize for a second time, and, as far as we know, no behind-the-scenes wrangling led to her victory. But it wouldn’t have been surprising if some squabbles had taken place. The Booker has always been unusually contentious. So contentious, in fact, that an alternative prize—the “Not the Booker”—was initiated in 2009 by The Guardian to poke fun at the internecine debates and offer a more open contest. At least that was the plan. Not the Booker has actually become Not So Different From The Booker. But some two months later, when the first prize was announced (it went to Rana Dasgupta’s Solo, a novel about Soviet-era Tblisi), The Guardian had to apologize to its readers for what appeared to be back-room maneuvering (a rush of votes came at the same time, for the same candidate). Mr. Dasgupta still won his mug, though. In short, the Not the Booker has begun to look quite a bit like the Booker—or at least like we might imagine those backstage negotiations. Indeed, the hopefuls have more famous precursors, those who engaged in their own form of campaigning—Anthony Burgess threatened to boycott the Booker celebration if he did not win, which he did not—or played up their underdog appeal—Keri Hulme accepted her Booker in Maori tribal dress. Two years after winning for Midnight’s Children, Salman Rushdie didn’t repeat with Shame and made his displeasure clear to judge Fay Weldon; he hasn’t won since. Plus, even to get a book considered for the Booker means you have someone politicking on your behalf: as Jordison pointed out, many Booker honorees have been submitted by their publishers, who are necessarily ignoring other worthy picks. The resemblance between the two prizes only continued when Morrison explained, prior to winning, his plan: next year, he wrote in his e-mail to his constituents, he would ask that the prize-givers “get a panel of people who understand and study books to be the judges.” In other words, to ensure that the prize won’t be open to the madding crowd. So much for literary democracy.